Philanthropists are still overwhelmingly celebrated for their gifts, but wealthy donors face ever-increasing scrutiny, whether for their business practices, political ties or unsavory donations. It’s hard to say precisely what’s fueling it. But lately, growing concerns about wealth inequality, money in politics, and what some see as a drift toward plutocracy have dovetailed with alarm about the Trump administration and such issues as white nationalism and climate denial. The Mercer family is at ground zero of this backlash. The latest incident involves Rebekah Mercer, daughter of hedge funder Robert Mercer, and her seat on the board of the American Museum of Natural History. A group of 28 curators at the museum recently penned a letter to leadership expressing “profound concern” over her position as a trustee, and more than 450 scientists have signed onto a similar letter asking for her removal from the board. One interesting thing about their objection is that it’s not necessarily based on the idea that Mercer might be influencing museum decisions, a common charge leveled at controversial donors (museum leaders told the Times they are sticking with the trustee, insisting funders don’t influence curatorial decisions). Rather, it’s that Mercer herself “stands in direct contradiction to the museum’s mission,” and the museum's connection to her erodes its credibility and public trust. In other words, to the signatories, the Mercers and their money are toxic. The curators and scientists aren’t the only ones who feel this way, even setting aside the issue of climate change. The Mercers’ track record of giving to Trump, Steve Bannon and alt-right extremists, coupled with recent reports of Breitbart channeling views of racists and neo-Nazis, set off a firestorm of criticism. There were multiple calls for GOP politicians to give away Mercer cash. One campaign targeted nonprofits and other institutions for investments in Renaissance Technologies, the investment firm Robert Mercer ran at the time. Among the institutions called out were RWJF and the William Penn Foundation. Mercer has since stepped down at the urging of Renaissance founder and major Democratic donor Jim Simons. The stain of Mercer’s wealth, it turned out, extended to his investments as well as his donations. The Mercers are an extreme example, and their support for all kinds of reprehensible figures and behavior makes them a clear target. But they’re far from the only donors experiencing blowback, to varying degrees. Gifts from Roger Ailes, Bill Cosby and Harvey Weinstein have all come under fire. Investigative news reports on the Sackler family and their role in the prescription opioid epidemic have put their huge giving to cultural institutions under the microscope. We recently wrote about an Oxford professor resigning over a controversial donation from Len Blavatnik. Of course, the philanthropic duo that has been the target of such campaigns perhaps more than any other is the Koch brothers. Charles and David Koch are famous for their libertarian politics and giving to right-wing politicians and think tanks. 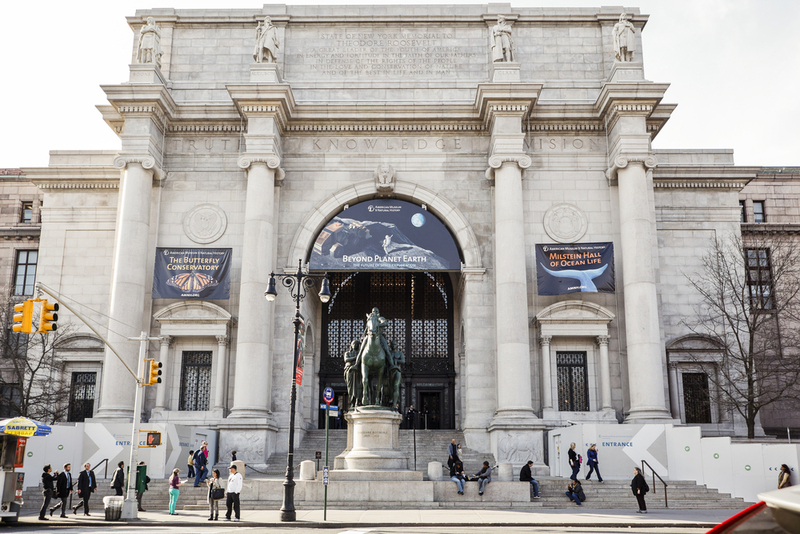 David Koch himself stepped down from the AMNH board after a push similar to effort against Rebekah Mercer (the museum said it was unrelated). The group UnKoch My Campus campaigns against schools taking their donations, publicizing their influence over higher ed institutions. A recent BuzzFeed article outlined a surge in giving from Charles Koch’s foundation to American universities. The wrinkle in Koch giving, however, is that while much of it supports study related to libertarian ideology, other funding goes to more neutral work in research and social science. So there’s concern over undue influence and their large overall footprint on campuses, but also a question of whether recipients can reconcile accepting funding given their larger track record. In other words, is this money toxic? Calling out donors isn’t a new thing, of course, especially concerning corporate giving, but pressure to draw these lines was increasing even before Trump's election. GOP actions under Trump, especially on topics that hit home for scientists and academics, have served to heighten the stakes. For example, many formerly apolitical scientists have taken to the streets and are even running for office in response to the administration’s moves on climate, research funding and immigration. It’s part of an overall Trump-era backlash to reactionary politics, with liberals and moderates alike raising their voices. People are angry and wealthy donors are among those feeling the heat. It also speaks to a lot of great investigative journalism happening right now, lighting fires under formerly overlooked figures. They face a similar kind of demand we’ve seen in divestment movements, which assert that an institution’s mission can’t live in isolation from where its money comes from. That can be a powerful tool for applying pressure to bad actors with wealth, or in the case of donors, to prevent them from laundering their reputations. But it’s also important for institutions, which need to consider how their donors might be affecting their missions and reputations, subtly or not, especially in science and education. It also gets to the heart of a larger question of what it means for institutions like universities that are increasingly reliant on these private donations. This trend is an important acknowledgement that philanthropy is more than just giving; it matters where money comes from and where it goes—that receiving a large amount of cash from someone isn’t inherently a good thing.